Birmingham, Ala. --- Slimy salamanders, spit bugs, plants that look and smell like, well something that attracts manure-seeking pollinators – along with snakes and other somewhat unattractive reptiles, all come together in Gross Out Camp. (It’s science, but please don’t tell the kids.) 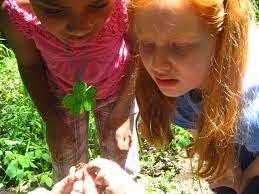 This award-winning camp offers a week of 9-5 hands-on biology for students entering grades 1-7 in eight locations. “Biology is disgusting, and kids love it,” said Verna Gates, Founder and Executive Director of Fresh Air Family. Students will spend their days exploring the riverbed searching for worms, bugs, crawdads and other macroinvertebrates, guided by a biologist. Along the way, skinks and crawdads, turtles, stinky plants, worms and bugs will be thoroughly explored. Owl pellets (vomit) will be dissected to discover what owls eat for dinner. Science experiments include making slime and extracting DNA from a strawberry. “If it’s gross, we’ve got it. We will show the kids the best of the worst that earth has to offer, and they will never realize how much they are learning!” said Gates. Gross Out Camp educates the old-fashioned way -- allowing students to learn through self-directed discovery, arts and crafts, and live animal programs. The camp works with all learning styles for a complete educational experience. To register, visit the website at www.GrossOutCamp.org or email Amanda@FreshaAirFamily.org or call 205-335-3483. Fresh Air Family Inc. provides outdoor education programs, offering more than 400 activities a year, and eight day camps for children and youth. Founded in 2006, the organization is a grassroots, kid-driven organization dedicated to environmental scientific education, youth leadership, outdoor exploration, healthful lifestyles and families, and an appreciation of the beautiful and biologically diverse state of Alabama. Fresh Air Family is wholly supported by the generous donations of sponsors, corporations and individuals. Membership and most adventures are free or low cost. For more information, contact Verna Gates, executive director, at (205) 540-6642 or go to www.freshairfamily.org.